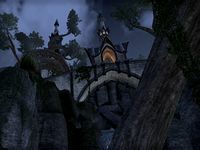 Greenheart is a small town in southern Greenshade. For more information on Greenheart, see the lore article. Greenheart Objective: Protect the Wilderking. 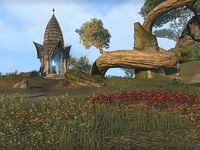 Greenheart Wayshrine is situated on the road between Greenheart and the Labyrinth ruin. 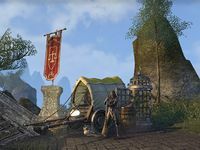 Near the Wayshrine a guild kiosk Bridgeside Barter can be found, run by Halash.